Provide a “solution” to your patients for their cold and allergy symptoms with the NoseCap. 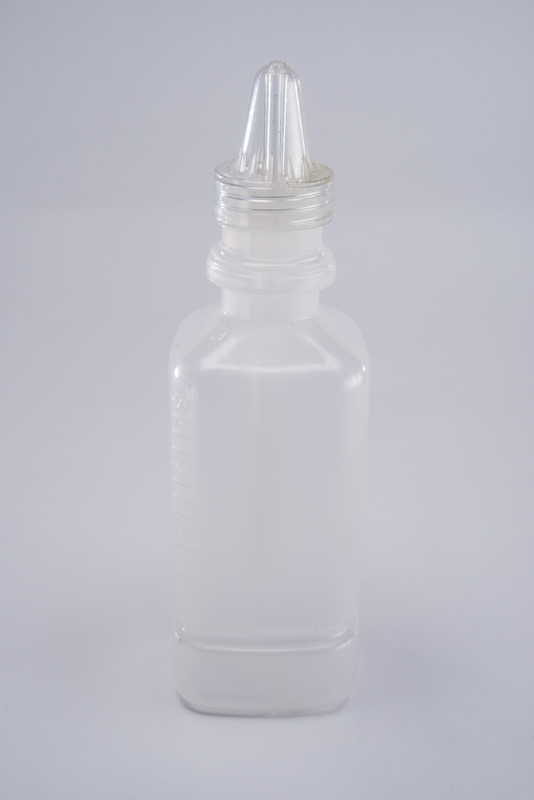 Just twist on any standard sterile saline bottle and squeeze to flush out the nasal passages. 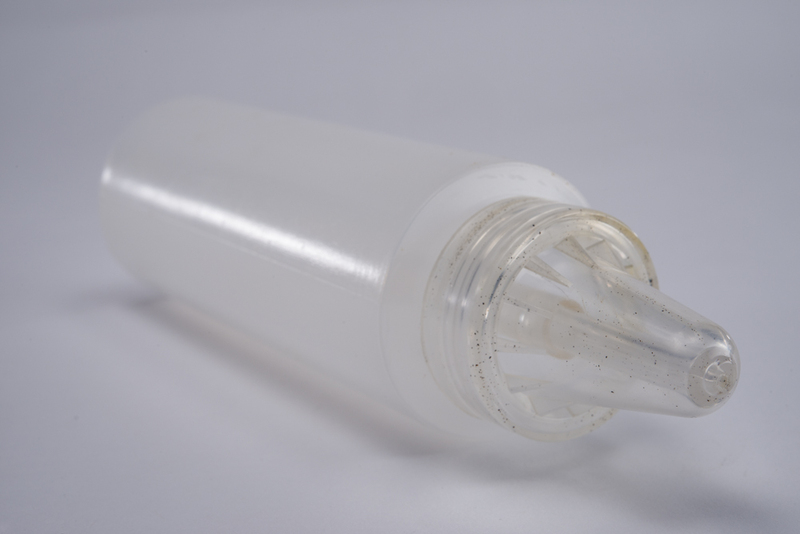 Using premixed sterile saline in a bottle, avoids the risks that come with using contaminated water sources. It is more convenient than boiling tap water and then mixing with salt packets. For additional control of flow and pressure, an option also exists for using a luer tip syringe. 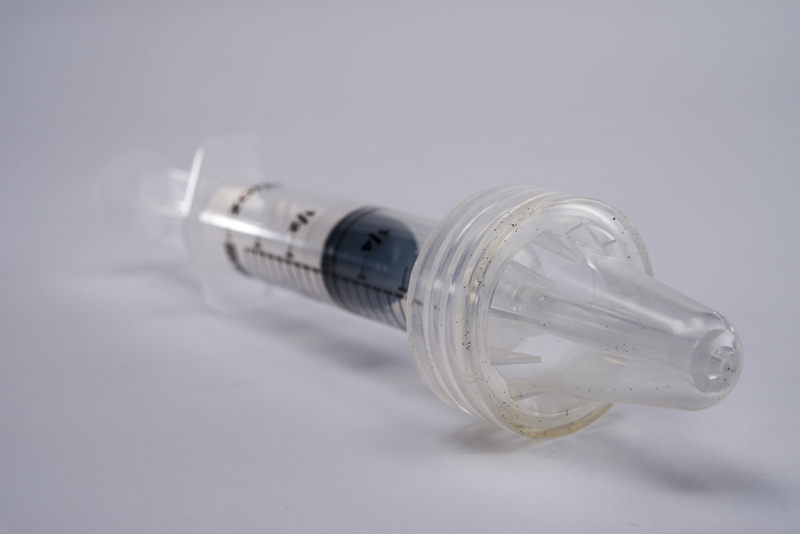 Adults can use 30ml to 60ml luer syringes. The NoseCap system makes it easy to be compliant with nasal irrigation recommendations. Teach your patients how to use it in the clinic or hospital so that they are more compliant with your recommendations to use it at home. Pre & Post Op Care. Now it is easier to clear the nose. Removing wax allows clinician to properly evaluate the middle ear for infection and injury. While wax itself is not harmful, impacted cerumen can affect hearing. Many patients come to the ER and doctors offices for cerumen removal. There are generally two approaches to wax removal, curettage and irrigation. Flushing out wax clears the ear canal. It sounds easy, but using other devices is tedious, time consuming and often ineffective. This ties up staff who could be using the time and skills to do other things more efficiently. The EarCap has simple design that delivers larger volumes of fluid under low pressure, but with a significant overall force to create turbulence in the ear canal to dislodge and flush out wax. Attachment to a standard saline bottle provides a larger fluid reservoir for continuous irrigation with limited refilling. The built-in catch basin reduces the mess and allows you to see what you get, so you know when you are making progress. The design also works with gravity, enabling the use of a tilted head down position. Rather than jamming wax further down into the ear canal with a syringe, the EarCap flushes fluid upward into the ear. This unique approach now works with gravity, so the fluid and debris now drops down into the catch basin. The built in splash shield helps reduce the risk of backsplash of contaminated irrigation fluid onto clinical providers. Patient’s like it when you help them hear again. Especially when you do it quickly, without pain, and without a mess. They also appreciate it when you teach them how to use a device that they can take home to use themselves. So consider giving the product to your patient for home use. Assemble tube to cap for bottle use. Tilt the head forward or to the side over the sink, over a basin or in the shower. Insert NoseCap into the upper nostril to create a seal with the nose. Squeeze bottle and flush nasal passages. Use in the clinic or hospital to treat the patient. This will increase compliance with your recommendations by demonstrating and teaching and teaches how to do the procedure for home. Consider prescribing saline bottles for home use or the patients can continue using over the counter mixtures at appropriate concentrations. 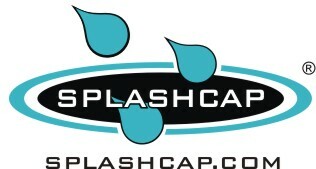 Like our other Splash products, the NoseCap is threaded to fit on a bottle. 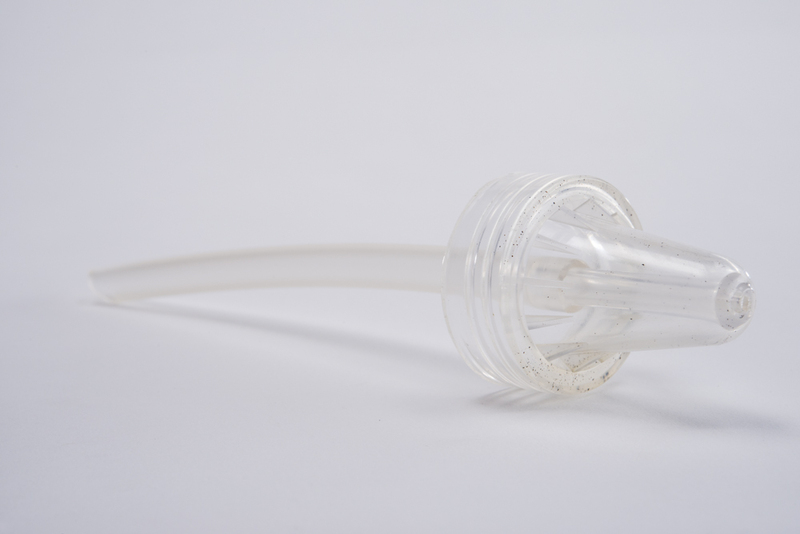 Female luer slip adapter for use with any luer tipped syringe of any volume. Included for easy assembly to extend to the bottom of irrigation bottles. 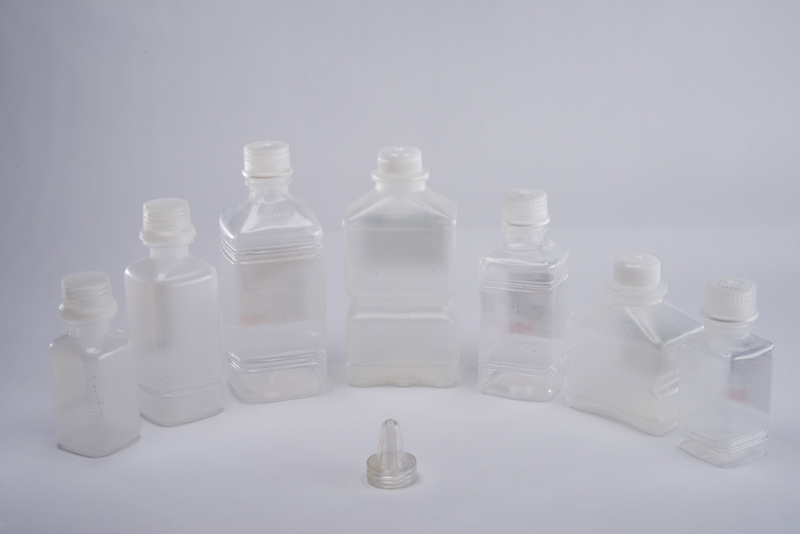 Compatible with all major brands of sterile saline irrigation bottles & syringes. It depends on how hard you squeeze the device. Of course, low pressure is safest to reduce the risk of any injury. When self-administered, the user can self-regulate how much fluid, speed and pressure is delivered.